IMPACT CIL is a self-help, advocacy organization, which was formed in September of 1985 primarily by people with disabilities. We assist people with disabilities to achieve their full human potential and to advocate for a society that is free from both physical and attitudinal barriers so that we may be full participants in our own communities. IMPACT envisions a society where we as people live independently in our place of choice and in a society that is free from barriers, discrimination, prejudice and segregation. It is only then can we be free to make our own decisions and choices and to live in communities that accept us as equal members. 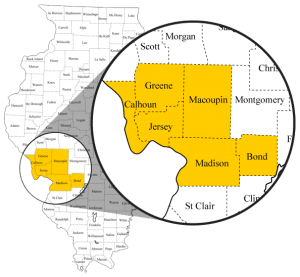 IMPACT serves the six Illinois counties of Madison, Macoupin, Jersey, Bond, Greene, and Calhoun. IMPACT is part of a larger Disability Rights Movement. There are 22 Centers for Independent Living, like IMPACT CIL, in Illinois and over 500 throughout the United States. In order to promote consumer control, IMPACT CIL continues to be operated by people with disabilities. IMPACT CIL’s governing Board of Directors consists of a minimum of 51% of people with disabilities. The majority of staff also consists of people with disabilities. 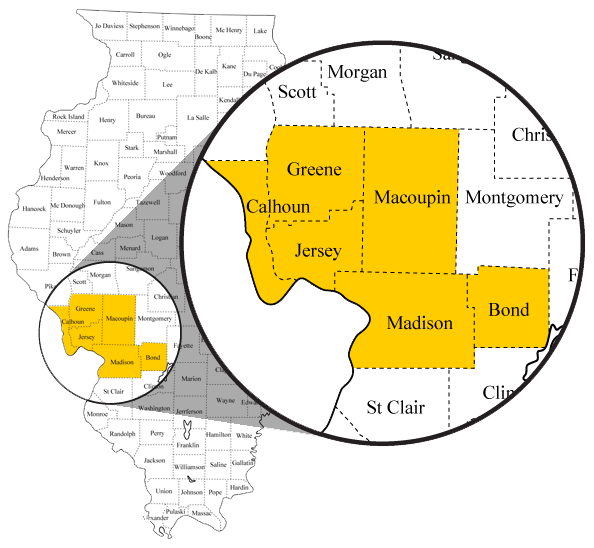 Our primary source of funding is through State and Federal dollars, which are administered through the Illinois Department of Human Services/The Division of Rehabilitation Services. We are also funded through the United Way of Southwestern Illinois. We also depend upon community support through donations and fund raising activities. Anyone who has a disability is eligible for IMPACT services. Click here to view our service area map. All services are free except fees for sign language classes or on rare occasions, other educational opportunities sponsored by IMPACT CIL.